Home ishqbaaaz Ishqbaaaz 22nd March Written Update Written Episode "ShivOmRu Hides Soumya From Veer"
Ishqbaaaz 22nd March Written Update Written Episode "ShivOmRu Hides Soumya From Veer"
She about to go but he Calls her Anika and She Stops in her track and seeing her face he asks her are you Anika? She Asks him so may I go But He tells her Don’t you want to know the plan? Veer is making sure that Soumya doesn’t do any mistake He calls her and When She Sees her Phone Veer Calling Shivaay Enters in the Room She asks her You? 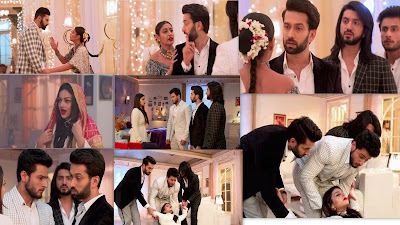 Shivaay asks why are you so Surprise to see me She says Nothing come inside He comes and tells her Why veer is calling you She Changes Topic and tells that She will talk later and Cut the Call Veer wonders why she cut my call?